Alan Maxcy is a photographer based out of Atlanta, GA. He creates content that helps businesses tell their stories. When he's not behind the camera you can find him in one of Atlanta's coffee shops or exploring the outdoors with his wife Lacey. They're obsessed with tacos, craft beer, and traveling the world. 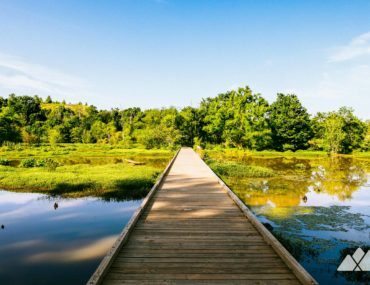 Explore Constitution Lakes Park, hiking nature preserve boardwalks to glassy lake views and exploring whimsical displays of found-object artwork on the park’s memorable Doll’s Head Trail.